Previous Post Vegan Gluten-free Café Latte with NuNaturals Nustevia Chai Spice Syrup! Next Post Travelling Sophie: Brewery De Halve Maan, Bruges! Thanks so much, Angie! Enjoy! Gorgeous! I want a fig tree! 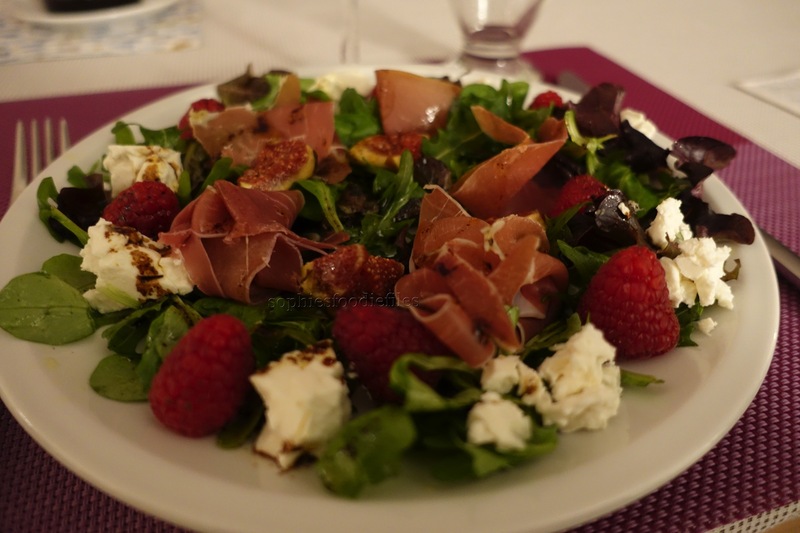 Sophie– love love the ingredients in this salad– sweet figs, raspberries and the salty ham. perfect. So cool you have a fig tree!! They are hard to find here and expensive$$. Beautiful post. How are you doing?? Any travels on the horizon?? xox friend. Thanks so much, dear sweet Rhonda! xxxx I am reasonably well. No travels for now though. We walk a lot in the woods for the moment! Sounds beautiful Sophie– especially in the woods this time of year. hugs from here!